Cloud CCTV is an online service for video surveillance and monitoring. Using a Software as a Service model, Cloud CCTV delivers great quality real-time and archived video directly to your browser, wherever you are: no configuration, no servers, and no disks. Simply plug a Cloud CCTV Camera into your broadband connection and you are ready to go. 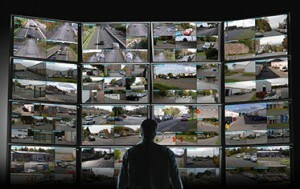 Cloud CCTVN is better video monitoring. Quickly find what you want from days or weeks of video in the fast, intuitive user interface. Use Cloud CCTV where and when you need with universal browser access. Keep up to date without wasting time through the unique NOW mode. And get great images from almost any environment with camera features like ultra wide dynamic range, true day/night(IR) imaging, object based motion capture, and h.264 compression. Cloud CCTV delivers great functionality, zero maintenance, simplified install, and universal access at a revolutionary price point. Whether you need 100s of cameras for multi-facility intrusion detection or just want to understand what your dog does, Cloud CCTV is a powerful and cost effective solution. Great functionality without the hassle. Centrally managed servers prevent security issues on your network. Enterprise class archives deliver 99.999% reliability. Active Software assures your cameras and service keep working. And our constant monitoring helps makes sure if something does go wrong, it is fixed before you need it. Get professional results without needing the professional. Everything you need is included, and no specialized network or camera knowledge is required. Simply plug a Cloud CCTV camera in and great video is reliably recorded. Log in to your secure registered account to access it.